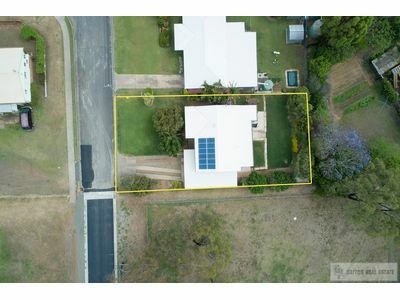 Located at the end of a cul de sac in a truly convenient and idyllic position within town, this expansive double storey family residence will be sure to impress with is size, space and living options. 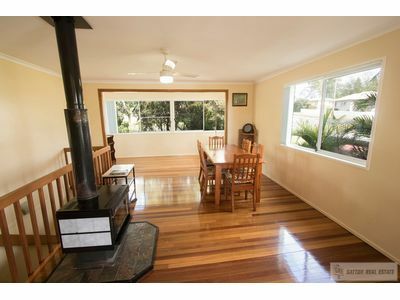 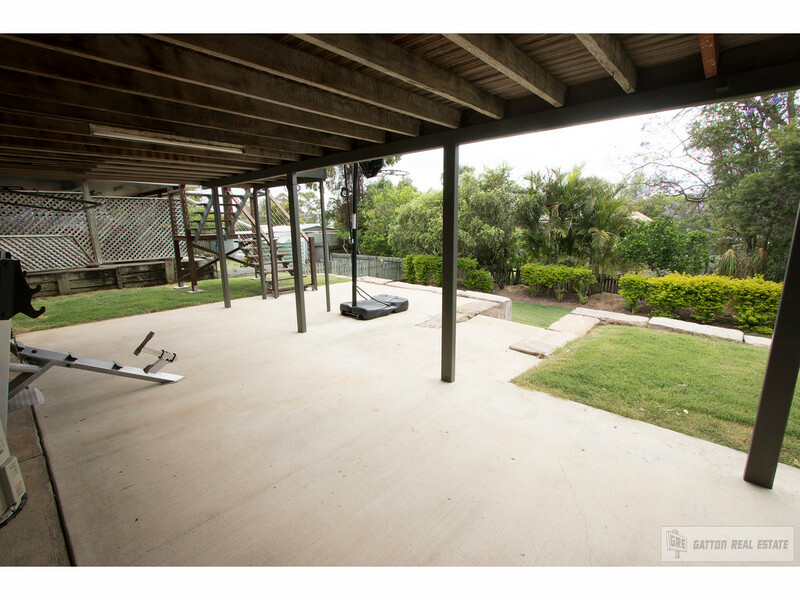 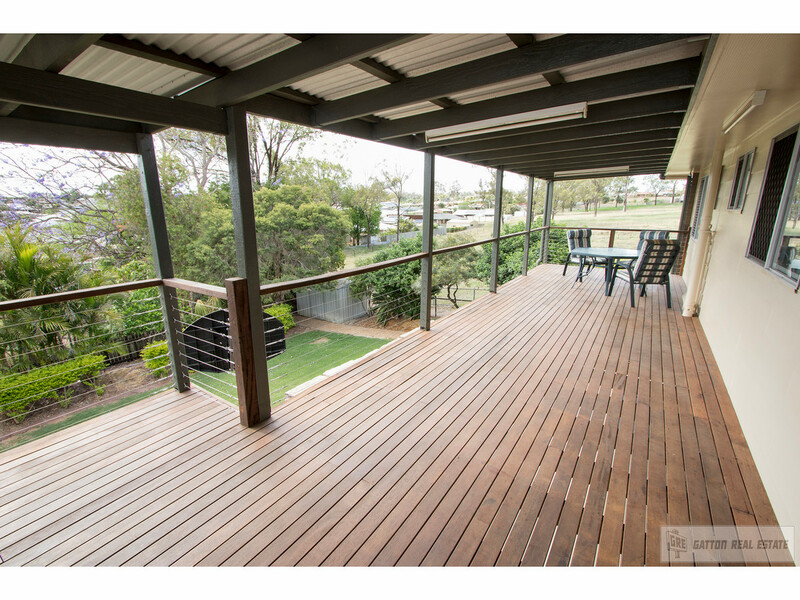 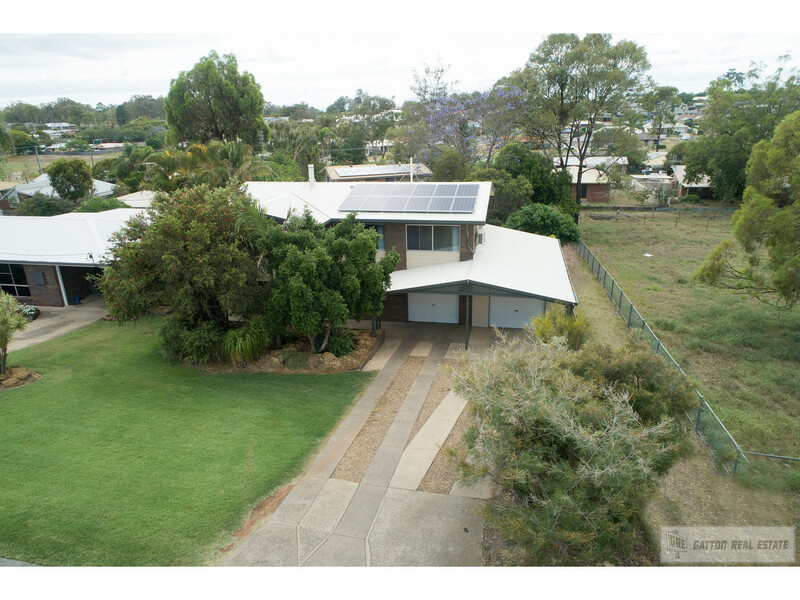 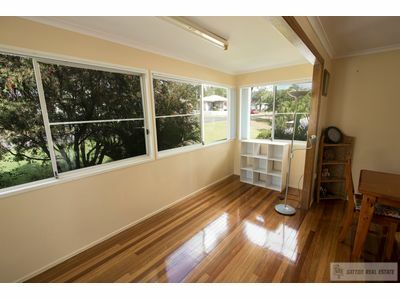 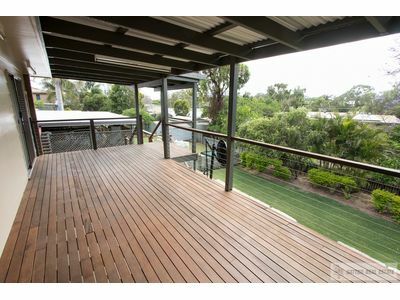 Designed with practicality in mind, upstairs contains a sprawling central living area with polished timber floors as well as the good sized kitchen which overlooks the full length 12m x 3.5 m deck along the rear of the home – providing an unparalleled outlook over leafy Gatton and adjoining High School agricultural paddock. 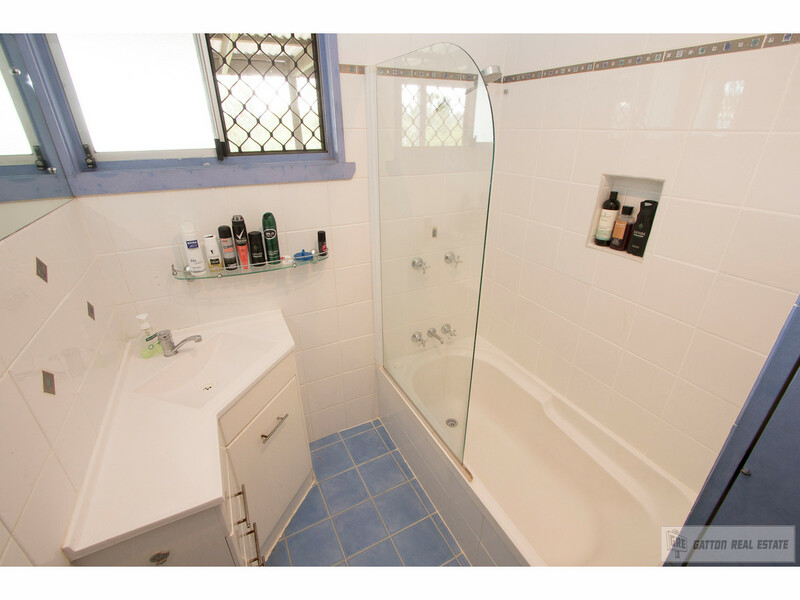 The upstairs bathroom has been refurbished and the 3 good sized bedrooms all have built in robes. 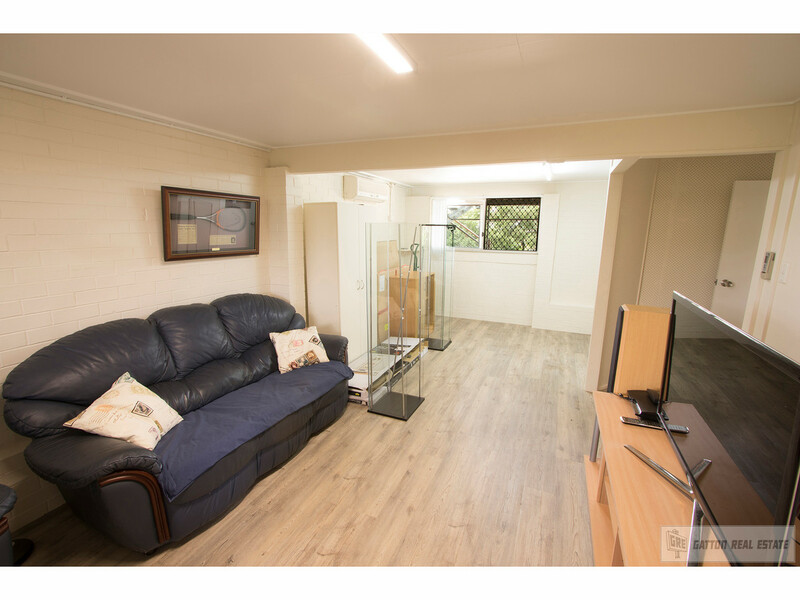 Walking downstairs, you will find more bedroom options, as well as a second living area and bathroom, leading out through the spacious laundry to the covered concrete area at the rear which is perfect for relaxing or entertaining while you watch the kids play in the yard. 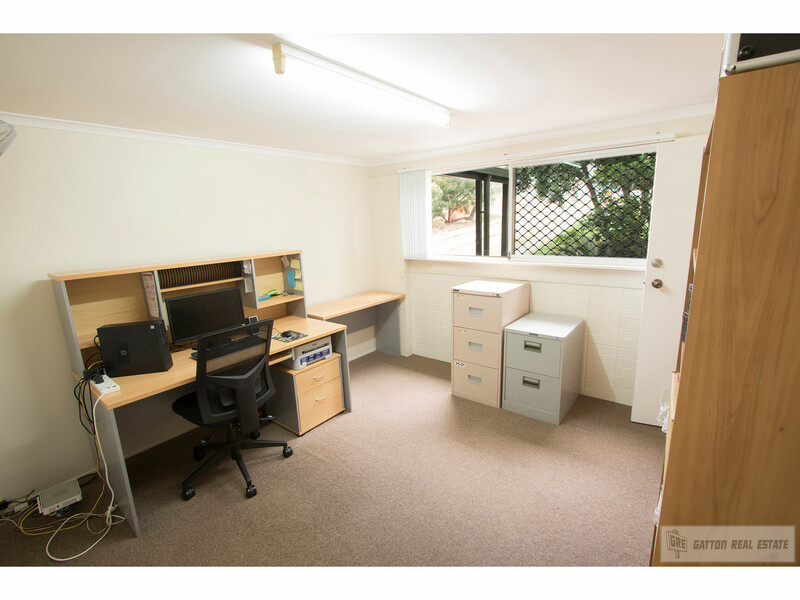 The residence is complete with excellent storage options, including a lockable storage rooms and has 2 lockable car accommodation options. 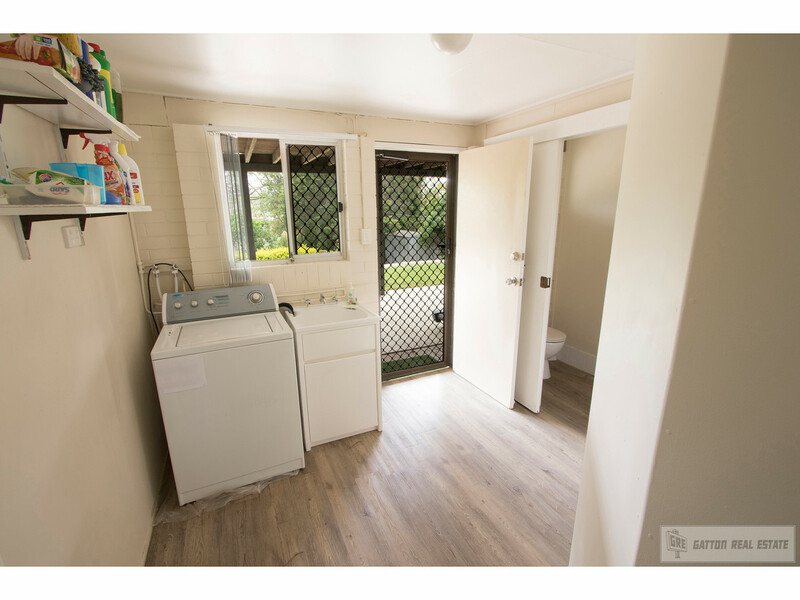 There are 2 air conditioners, fans and a wood heater for year round comfort, and the yard is landscaped and fully fenced -featuring a garden shed for garden tool storage. 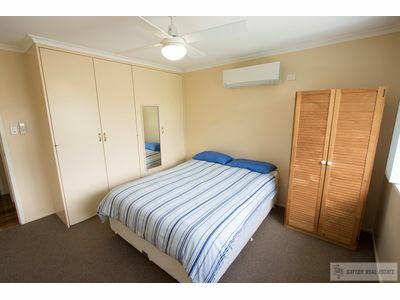 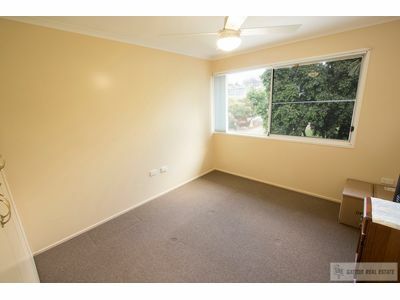 You will see that the bonus of this property is that there is not a thing left to do! 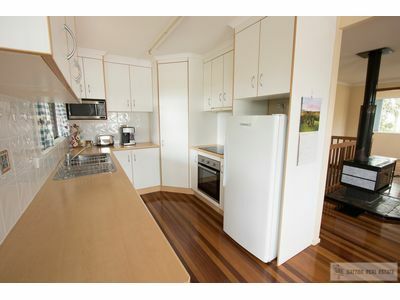 Your children can walk to school in any direction, the local corner shop is just a few hundred metres away and the Lake Apex fitness precinct is literally just around the other side of the High School from this properties location, so if you are wanting to live a lifestyle with space and convenience for your family, you won’t be able to go past this excellent double storey delight. 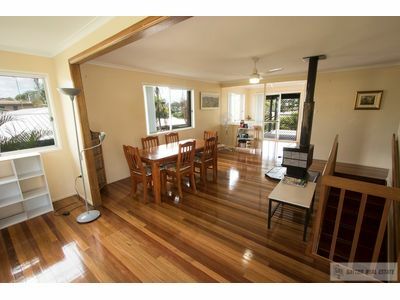 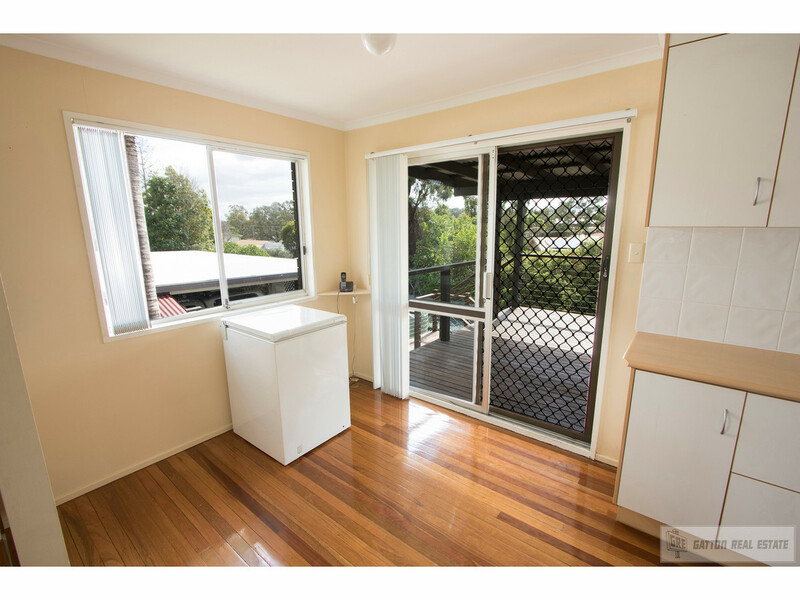 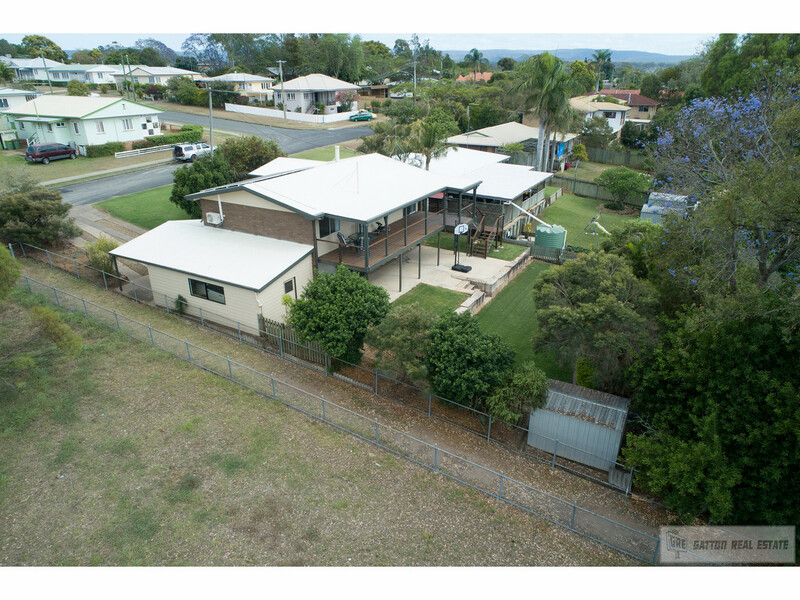 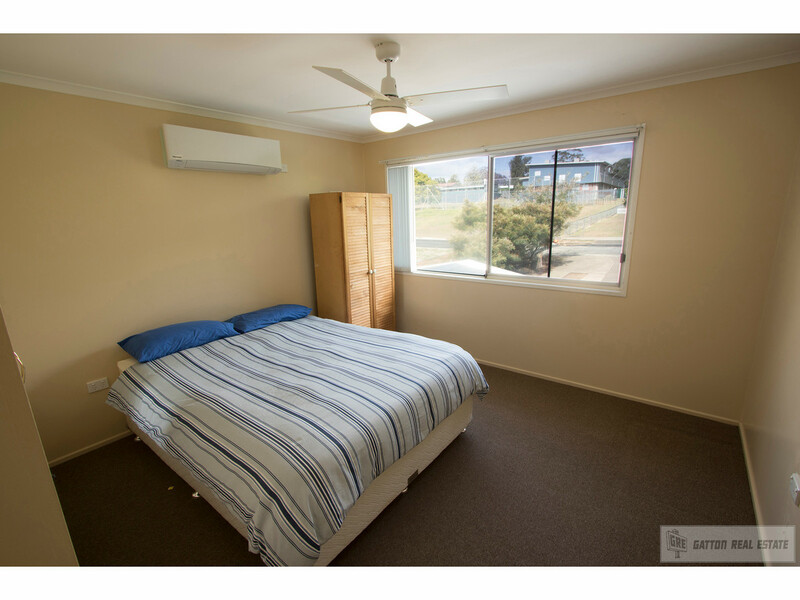 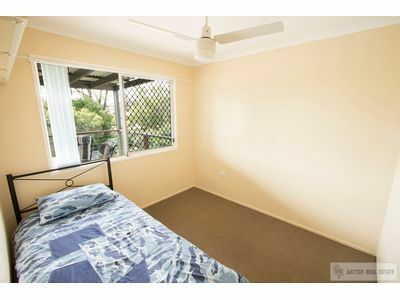 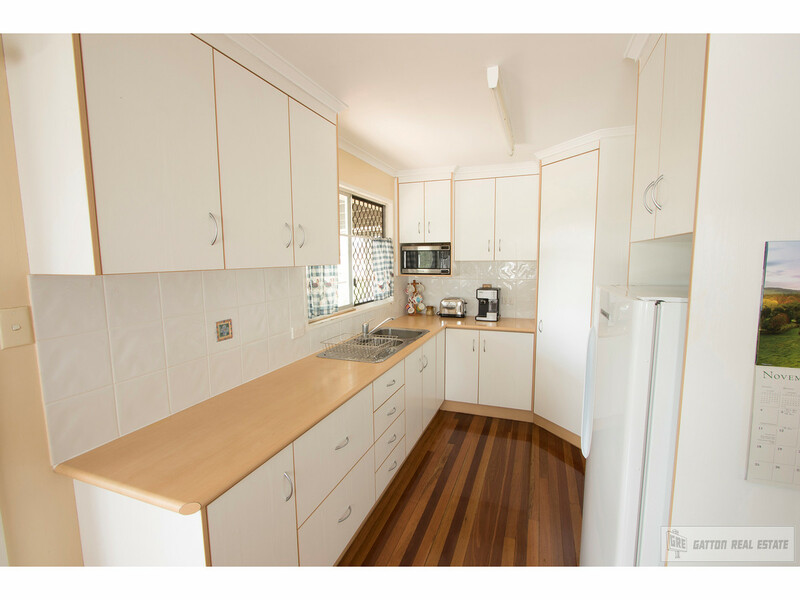 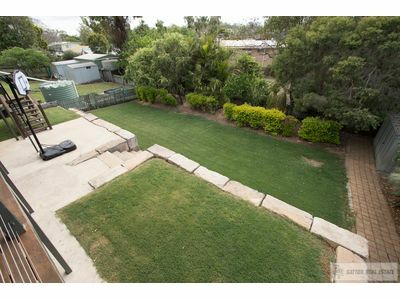 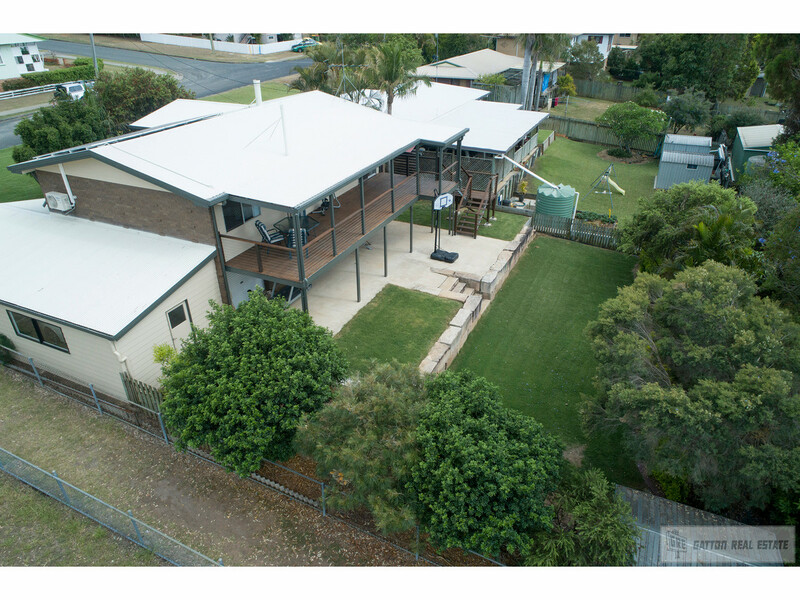 Call Allison on 0423 301 315 or Derek on 0458 110 872 today to arrange a viewing.